Zeb Walsh will be representing Australia in the 15th annual Molokai 2 Oahu Paddleboarding Word Championships. Zeb is the assistant manager of Patagonia Torquay, dad, great surfer and all-around talented waterman. I was lucky enough to have a chat with Zeb right before he left for Hawaii. Editor's note: Today's post comes from our sister blog at Patagonia Australia. Best of luck to Zeb, Jeff and Gerry in the race. We'll be pulling for you guys. Born and bread in Torquay, Zeb says he is a "sucker for white-line fever." Growing up in the surf-lifesaving scene, hard work is nothing new to him. Zeb trains all year-round under a self-disciplined schedule of two shorter 15km paddles, two longer 30km paddles and one "fun" paddle in the waves out front of Torquay point each week — sometimes breaking it up with a run or good workout in the gym during the winter months. Just before he left for the race, Zeb stepped it up a notch focusing on the journey along the great ocean road, paddling between Lorne and Torquay. He loves competition but more-so just being out in the water. 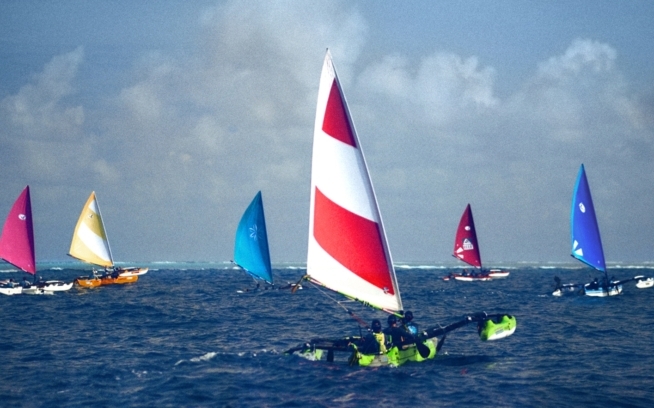 His interest in long-distance paddling began as a tool to help his fitness level for surfing. Zeb still admits that despite his talents on the paddleboard, surfing will always remain his motivator and true passion. 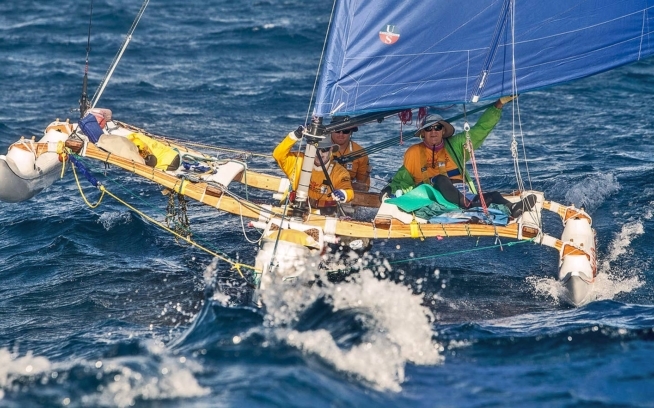 Zeb’s main concern for the race is to acclimatise to the temperatures of the Hawaiian summer, although being submersed year-round in the frigid temperatures of Victoria has its benefits. "It's more of an advantage mentally. The cold is harder on your body, always being uncomfatable and having numb feet,” Zeb says. Zeb will meet up with Patagonia ambassadors Jeff Denholm and Gerry Lopez from the USA who also entered in the prestigious July 31st race. 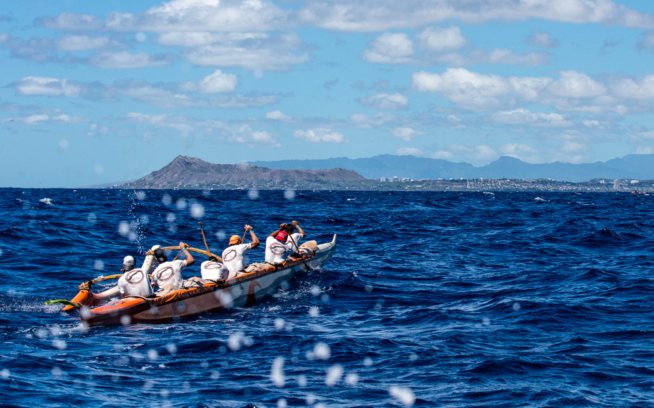 The course is from Kaluakoi Beach in Molokai, 32 miles across the Ka'iwi Channel (channel of bones) to the finish line at Maunalua Bay, Oahu. Depending on wind and currents, Zeb will plot his course across the open ocean either to the north or south to ride the swells and tide. The journey across the 2,300-foot-deep channel has challenged athletes since the first organized race in 1952. Patagonia Australia wishes Zeb the best of luck! Check back here for the race results after August 1st. Patagonia is a 2011 race sponsor. For more info on the event, visit the official site of the Molokai 2 Oahu Paddleboarding Word Championships. Here's a video chronicling Jeff Denholm's 2010 race experience.